Although his name might not be as recognizable as Boris Karloff, Bela Lugosi, or Robert Englund, Duane Jones is one of the most important people in American horror cinema. Jones is best known for his role as “Ben,” a man who faces many difficulties while trying to lead (and save) a group of people trapped in a house besieged by zombies, in George Romero’s Night of the Living Dead (1968). Due to the social commentary in Romero’s “Dead” films, many have assumed the character of Ben was specifically written for a black male in order for his struggles to comment on race relations. However, it is noted in Elite Entertainment’s Night of the Living Dead: Millennium Edition DVD that the role wasn’t written with a specific ethnic group in mind. Duane Jones got the part because he gave the best audition out of those trying out for the role. According to Karl Hardman, who portrayed Ben’s rival in the film, the character of Ben was originally written as an uneducated trucker. Being a well-educated man and not liking the characterization, Duane Jones chose to alter the character’s dialogue. Although the fact that he was in a classic horror film (which popularized the concept of flesh-eating zombies) alone would have made him an important figure in the history of horror cinema, Duane Jones did so much more. Positive portrayals of an African American in a horror film were few and far between during that period of American history. Usually when black people appeared in horror movies, it was either in small roles as servants, jungle natives, or as cowardly and supposedly “comedic” characters. However, his character in Night of the Living Dead was a brave, calm, and intelligent man (due in part to changes Jones made in the character’s portrayal). 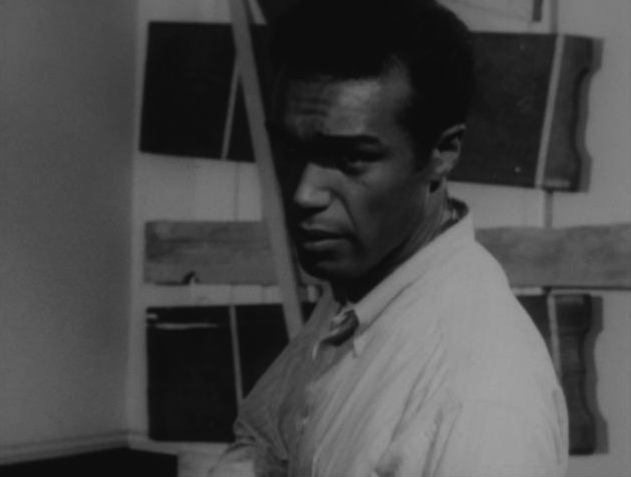 It is often said that Duane Jones was the first African American actor to have a leading role in a horror movie. Not knowing about how black people were cast in horror films made in other countries and knowing that some horror films with all (or mostly) African American casts existed before Night of the Living Dead, I’m not sure if that claim is 100% accurate. The films in question include Drums o’ Voodoo (1934), The Devil’s Daughter (1939), and Son of Ingagi (1940). Judging from what I could find about those films, the protagonists all appear to be females and they seem to have been shown in theaters that catered to black audiences. By contrast, Night of the Living Dead was given wide theatrical distribution. Even if some other actor was the first black actor to star in a horror movie, Duane Jones would still the first black actor to have a starring role in a mainstream American horror film. In a 1988 interview included on the special features of the Night of the Living Dead: Millennium Edition DVD, Jones expressed concern that people would only see him as “Ben,” despite his roles in other films. While researching his filmography in preparation for this blog entry, I was surprised to see that the bulk of his acting work was in horror films. Not counting his two non-horror film roles, Duane Jones appeared in Night of the Living Dead (1968), Ganja and Hess (1973), Vampires (1986), Negatives (1988), Fright House (1988), and To Die For (1989, filmed in 1988). However, his work wasn’t limited to acting in films. His Wikipedia article says he taught acting at the American Academy of Dramatic Arts, served as executive director at the Richard Allen Center for Culture, and taught theatre at the State University of New York at Old Westbury. Interestingly enough, there’s a recital hall there which is named after him. Although he died of cardiopulmonary arrest in 1988, his legacy still lives on. Even though he disliked how his first horror role overshadowed his other work, I hope that he took pride in the fact that the traits he gave the character made such a positive impact in the history of American cinema.